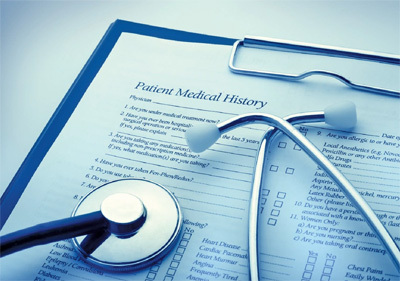 CHECK LIST: Despite increased health awareness among South Africans, they are unable to avoid the rising cost of health insurance offered by medical aid schemes. THEY say when you have your health, you have everything. Therefore it's good that we are more health conscious than ever before. We try to get more exercise, make healthier food choices and educate ourselves on health issues. However, we cannot escape how costly health insurance (medical aid) has become. So what can you do to keep health costs down? What can employers, the government and health industry do to help keep the nation healthy and healthcare more affordable? While everyone has the ability to make healthy choices, it is not always easy to do so. You must have healthier options. I am truly grateful to live in a suburb that really cares about my and my family's wellbeing with safe places to walk and exercise, schools and work places providing healthy food choices and where we have access to recreation and health programmes. • We must see our general practitioner first and not go directly to specialists and hospitals. Claims are up to 30% higher for seeing more than one doctor, especially if care is primarily specialist–driven. Even in developed countries, this is how excellent health systems work. • Younger people must join schemes. • Richer and sicker people must pay for more expensive or more extensive options. • We need to share information between all providers so doctors don't have to repeat tests. • Members must take control of their lifestyles and ensure they get better, especially those with chronic diseases and after discharge from hospital, to reduce the number of claims. • Doctors must claim the rates that schemes pay and must work together in teams and we, as patients, must push for this to happen. We all know about inflation as we expect our salaries to increase at least by inflation every year. However, food and medical schemes are not increased by the same inflationary amount. The health market inquiry heard how medical scheme inflation can be over 3% higher than normal inflation. There are two issues here: access to affordable insurance, to absorb spiralling costs and reforms and efficiencies in the delivery system, to lighten the financial burden insurance must cover. • Reduction in unhealthy and dangerous lifestyle behaviours. • Increased preventive care, reducing the incidence of disease. • Better integration of services, including reducing the fragmentation of care where there is a duplication of services as you move from one doctor or facility to another. • Changing the way we pay for healthcare to ensure we actually buy the care from doctors with the best results. • Changing the way benefits are designed to ensure the system is sustainable and cheaper. The physicist, Albert Einstein, said: "Intellectuals solve problems, geniuses prevent them." Yet no matter how much employers try to help employees remain buoyant and healthy, some will always be hit by illness. Employers want to play their part because a healthy workforce is a productive workforce and many employers subsidise medical aid contributions and are equally affected by increased costs. Many employers have some form of wellness programme for their staff. Employers need to do their utmost to ensure this programme is engaging, relevant, effective and staff have time to access it. Some even opt to offer perks or rewards for employees who stay healthy as they claim less from their medical schemes, which help contributions stay low. So, industry and workers, health providers, consumers and the government must all work together. So what actually contributes to increases? • Consumer price index (CPI). This is the usual inflation by which things like supplies and salaries increase around 5.5% of the increase. • Ageing 0.5%. It is important for young people to join medical schemes. One of their foundations is the young and healthy must subsidise the elderly and the sick. • Burden of disease 2.6%. There is an increase in people with chronic, lifestyle diseases usually responsible for claim increases. • Buy-down behaviour 1.2%. If sick people buy cheap options, there won't be enough money in the kitty for the claims to be paid. • Residual 1.1%. In here are things like new health technology and market concentration and other things like fraud, waste and abuse that increase claims. We have to work together (consumers, doctors and other healthcare providers, hospitals, employers, government and schemes) to ensure medical contributions do not keep increasing in excess of wages. There is a saying that: "Everyone prefers a solution benefiting their own interests." However, it does take a village to affect the health of a family, community and the nation.